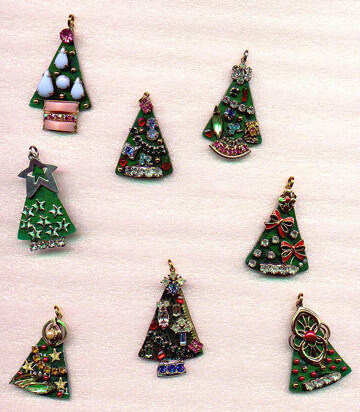 Most of the ornament covers you see out there are not for beginners, but the results are spectacular! A really motivated beginner could tackle some of them, and if you'd really like to have a go at it, I'd recommend working through some of the easy ones on this list to get the idea of how they go together. From there, dive into the more difficult ones! Have you been thinking about ways that you can set your jewelry apart from the crowd? 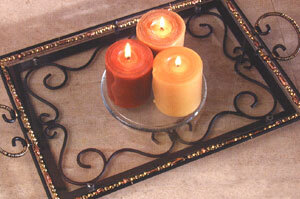 One way is to cast your own metal pieces or work with other hot metal applications. 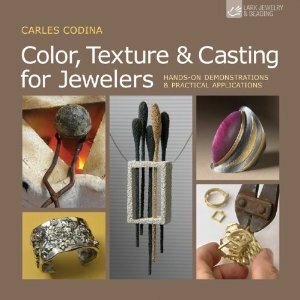 Carles Codina has written an introduction to the various techniques that may interest you if you've been thinking along these lines. 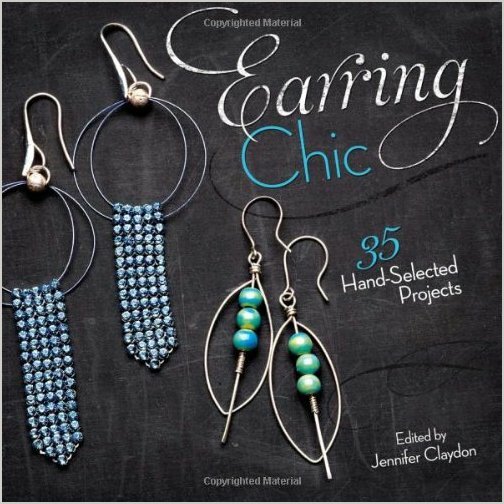 Color, Texture & Casting for Jewelers is a practical demonstration style book that walks you through metal combinations, texture and patinas, modeling and many forms of casting. I was especially interested in the section on patinas. We're all familiar with liver of sulfur when working with silver, but there are lots of other chemical and heat treatments that will yield additional colors. Casting is another topic that I find fascinating. When I was in college, I did some lost-wax casting, but I never felt it was really for me. Carles covers other forms of casting, including sand and cuttlebone. 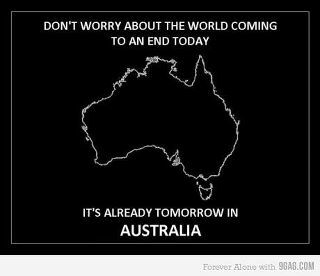 Who'd have thought? The metal combination section was much more interesting than I expected. It covers keum boo, plating, mokume gane, and granulation. Although I love the look of all these techniques, they do not really interest me to try. Nevertheless, I do love learning about the techniques and understanding how they work so that I can better appreciate the work of other artists! If you've been thinking that you'd like to move your career along and explore some more advanced techniques, this might be just the book you've been looking for. I wouldn't recommend it for a complete beginner: the practical application projects are more advanced than most beginners would feel comfortable with. But if you've already got some experience working hot, this might be just the book to help you find your next direction! Please make sure that your link will lead me to an email address, or else I won't be able to contact you. No contact, no win, and I simply have to go on to the next person. Deadline: December 24, 2011. Jennifer decks the halls with a super colorful, Jangles styled bead garland, and her free tutorial will show you how to make one too! This week I made a beautiful component even better! Jean has fun being a new designer blogger for Nina Designs! Come and see what she made! Andrew shares a couple of magazines that he was recently published in. Share your holiday jewelry on A Bead A Day blog. Just leave a comment or send an email to get your work featured! 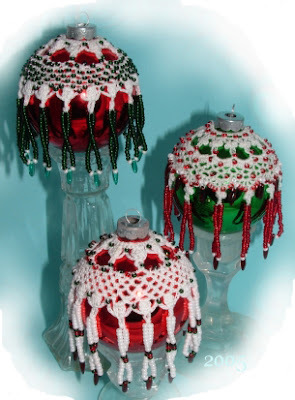 No time to make beaded ornaments? This is so not true when you have this super fast and inexpensive tutorial to help you. 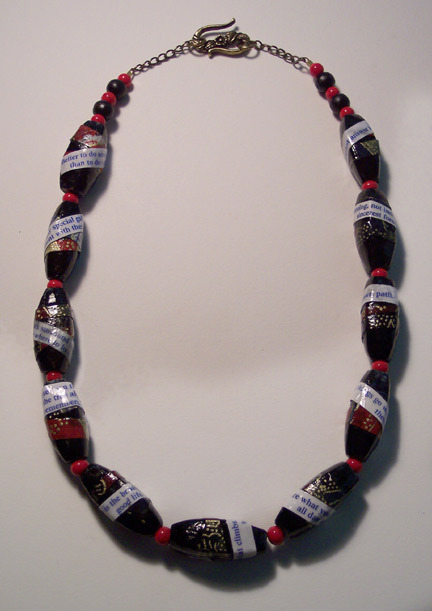 I made a necklace following directions you had in a 2007 Jewelry Crafts magazine. It isn't as good as I would like but it was a start, and the next one? Maybe? Anyway thanks, you are always an amazing inspiration. I have to say that the real inspiration is seeing what other people do with the kernel of an idea, whether it's mine or someone else's. Isn't creativity and art-making amazing? Ring lovers, take note! 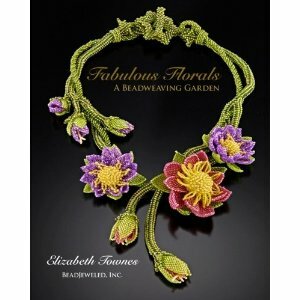 You are definitely going to want to see this volume, Ring a Day, from Lark Publishing. 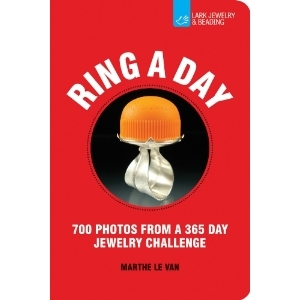 Marthe Le Van has chosen 700 photos from last year's Ring a Day challenge. 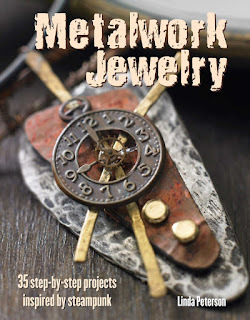 Marthe writes in the introduction, "When I heard that a group of jewelers was creating one new ring per day for an entire calendar year, three thoughts immediately came to mind -- This is brilliant! This is completely mad! Where do I sign up?" The participants are listed and all the photos are identified by materials, artist, and technique, but this is purely not a project book. It's a chronicle and an inspiration, but you'll find no instructions here, just great photos! Please make sure that your link will lead me to an email address, or else I won't be able to contact you. No contact, no win, and I simply have to go on to the next person. 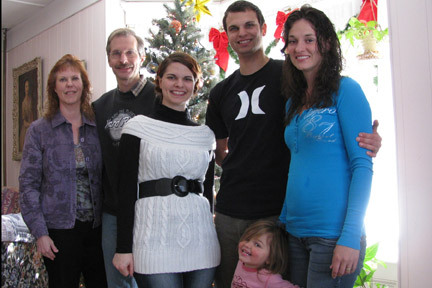 Deadline: December 19, 2011. Ann Kruglak Free dreamwork consultation by email with any purchase (can be given as a gift also). My work is mainly gift items such as earrings, clocks, mirrors, bookmarks, wine stoppers, ornaments, candle holders, and larger sculpture, wall art and masks. All proceeds go to rainforest preservation. Please Note: My shop will be closed until 12/13 as I will be in Bali. Please visit me soon! Burnt Offerings An eclectic selection of artwork, jewelry, prints, and unique art supplies for your holiday gift giving needs! 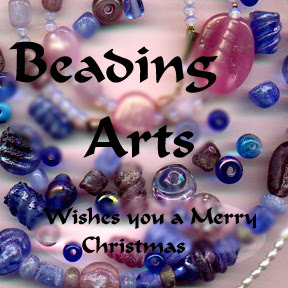 DenisePerreault Through 2011, get 25% off my bead sculpture "The Stoning," or any fandangle in stock. VanessaSellsSupplies Specializing in aluminum disks and leaf shapes to add pizzazz to beaded and chainmail jewelry. 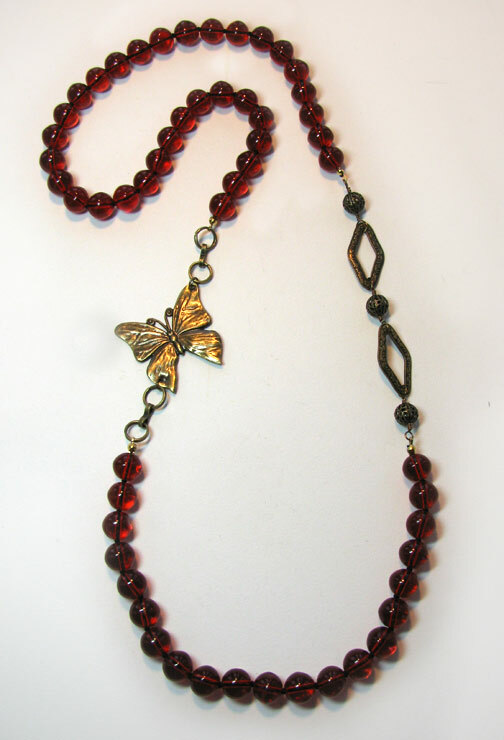 KaliButterfly Handcrafted aluminum chainmail jewelry. 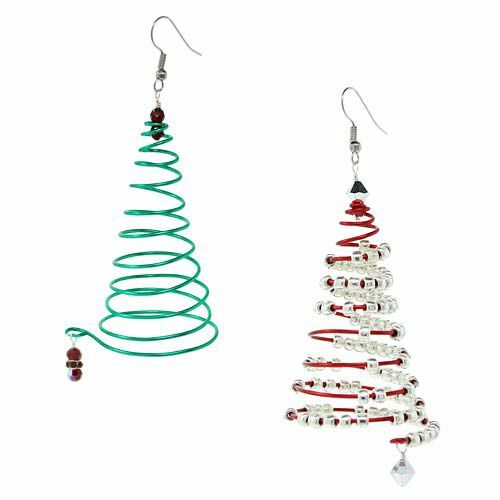 Hypo-allergenic and lightweight jewelry is perfect for holiday gifts. Kristin Diener, MFA Diener studio in downtown Albuquerque New Mexico has ongoing beginning and continuing classes in jewelrymaking/metalsmithing/small metals. 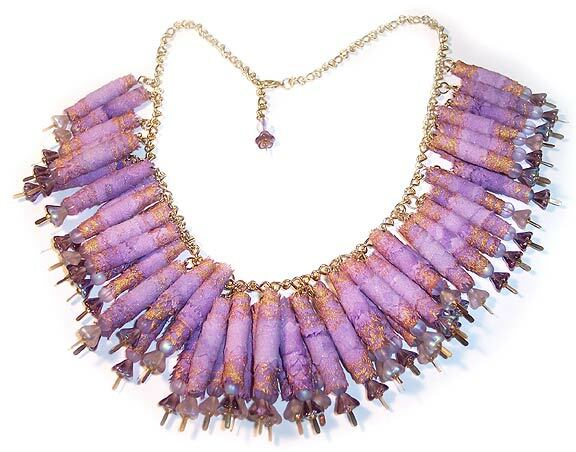 Delia Marsellos-Traister Wearable art-jewelry for loving and wearing and gemstones for your work. Free shipping on many items. Think you know all there is to know about chains? I can guarantee that this book, Chains Chains Chains, will open your eyes and get your imagination working overtime with new ideas. Have you ever seen links that are a flock of birds? How about chain links that portray lakes from a map? Or scribble marks. Some of these chains are made from wire, and some are from sheet metal, so the variety is amazing. 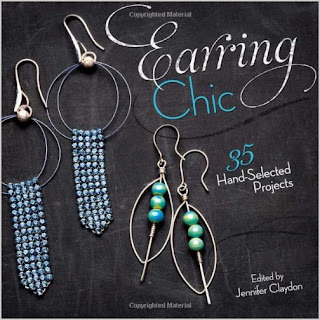 Chains Chains Chains is an edited volume from Lark Books, so you'll probably recognize some of your favorite designers here, and lots that are destined to become your new favorites! 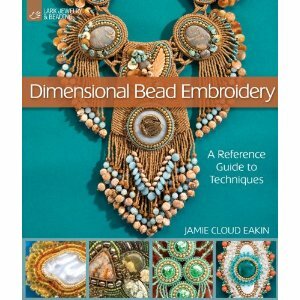 There is a basics section in the back of the book that covers the properties of different metals, bench tools and equipment you'll need, and basic techniques. 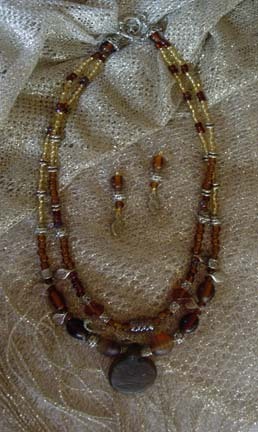 The techniques include annealing, cleaning, transferring designs, sawing, filing, dapping, chasing, riveting, shaping, melting, soldering, pickling, and finishing. Even though this section is pretty extensive, I still think this book is best for those with some metal experience or very motivated beginners. Please make sure that your link will lead me to an email address, or else I won't be able to contact you. No contact, no win, and I simply have to go on to the next person. Deadline: December 12, 2011. Nancy Tobey Until January 31st - a pair of earring beads with every purchase of $50 or more. Michele Palenik I can make you the best gift-giver on the block! Off the rack or custom designs always available. Bundle your purchases and I will include a free gift and super saver shipping. Lissie Design Free shipping until next year! 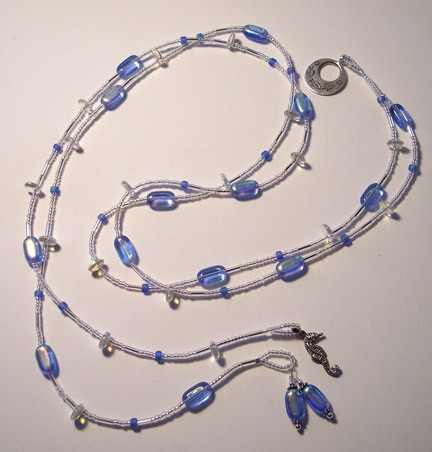 Annika deGroot Micro-Macrame Jewelry Artist creating intricately knotted designs for your holiday gift giving. 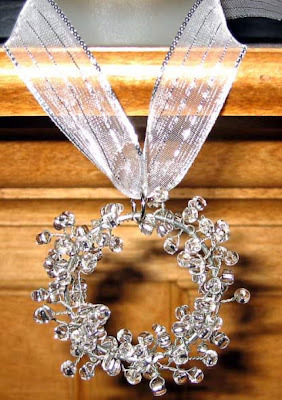 Change of hART Distinctive one-of-a-kind jewelry & custom wedding flowers. 10% OFF all items in the Clearance Section with coupon code SPECIAL11 from now through the end of the year. 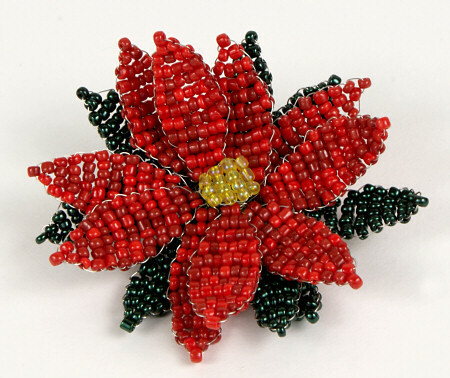 Sylvia Windhurst Unique beaded and embroidered jewelry and accessories. 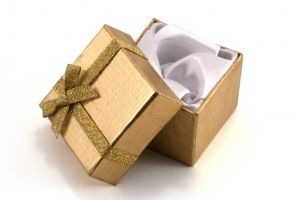 Shipping is always free within the USA, and your orders will come in a gift box. 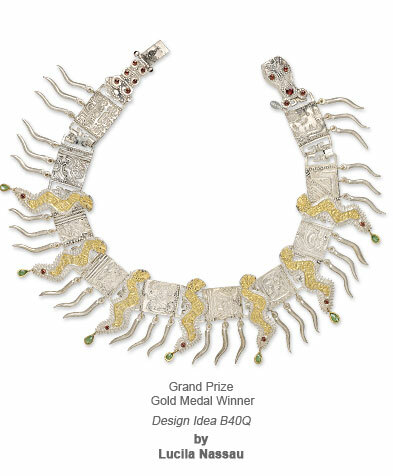 Ling-Yen Designs 41st annual crafts fair to benefit the Mendocino Schools Enrichment programs. Cheri C Meyer Unique handcrafted jewelry art, offering free shipping anywhere and check out the sale section in my Etsy shop! 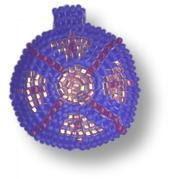 Nancy Peterson of Beaver Island Jewelry will be offering a free zipper pull with any purchase from her website if you mention Beading Arts blog! Beaver Island Jewelry offers handmade glass lampwork beads and jewelry made with these beads. 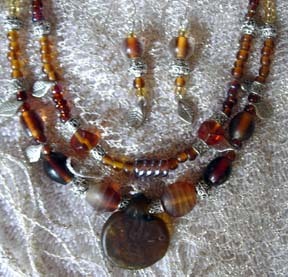 Blueridge Diva Designs Features artisan designed seed bead jewelry and accessories, to enhance your beauty and style! Kydo Jewellery Keep Your Dreams Original! 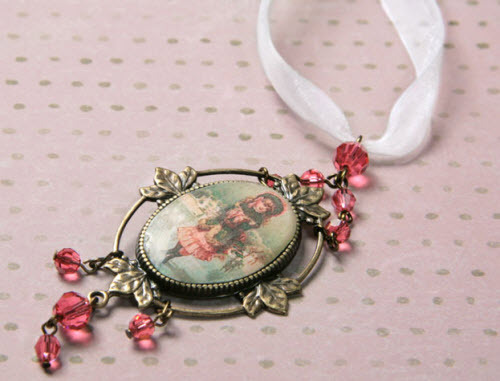 Elegant Handmade Art Jewelry is a beautiful gift for any season. 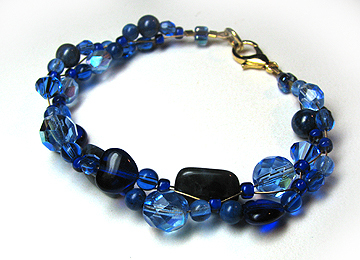 Jackie R Jewelry Give a Gift of Beautiful Gemstone Jewelry! Promotional sale on now. Steider Studios Kilnformed glass home decor and personal adornment. Complimentary standard shipping through December 10th. I've decided to join the stitching challenge run by Sharon Boggon, called Take a Stitch Tuesday. 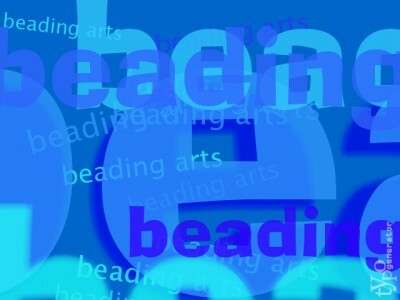 Each week Sharon introduces a new embroidery stitch that participants can practice and expand upon. Sound like fun? Sign ups are still going on over at the TAST home page! 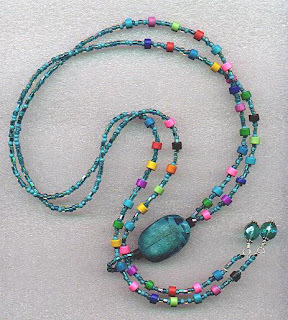 Marie Cramp shares some beautiful examples of using the colors from art pendant focals to inspire a necklace design. So, who's making jewelry gifts this year? Raise your hands...who hasn't exactly gotten started yet? 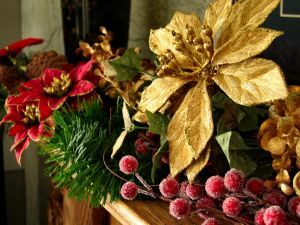 If you're looking for quick and easy, I just might have a link to a good project for you here :-) These are not all necessarily holiday-themed pieces, just pieces that I think you'll like to share. I'll be sharing more tutorials throughout the next couple of weeks...right up until it's almost too late. Really though, if you're going to make something for someone, it's never too late! Lots more ideas can be found in our Tutorials posts. Some of these projects are fast and easy, some take more time, but there is plenty there to get you going!